The international expertise of Nouveau Contour reflects at the Nouveau Contour Master Academy. Are you interested in one of the Nouveau Contour trainings, but there is no Nouveau Contour distributor in your country? Take part in the International Academy. International Educators will teach you the techniques in English at our headquarters in the Netherlands. It is possible to combine the All-round Basic Training with Master Classes and Focus Classes to have a complete training program during your trip. Please contact us for more information and the possibilities of the International Academy. With the broad expertise of our International Master Educators we will offer the best available and extensive training program for starters and professionals in permanent make up worldwide. The Master Academy is the best quality education, the only one of its kind in the world of permanent make up. To perform permanent make up treatments, knowledge, professionalism and quality are a requirement. Every distributor worldwide provides the Nouveau Contour trainings according to the guidelines of the Nouveau Contour Academy. They are trained by International Master Educators at the Nouveau Contour Head Quarters in the Netherlands. techniques to apply shaded eyebrows, lash enhancement and lip liners. The training consists of theoretical training, practice training on artificial mannequin heads and practice training on models. After successfully completing the All-round Basic Training, you receive your certificate and can immediately start perusing your career in micropigmentation. You can also enhance your education by taking our advanced Master Classes and Focus Classes where you can further develop your skills. The Nouveau Contour Academy has a wide range of specialization trainings. Improve your techniques, develop your professionalism and extend your treatment offer. After successfully completing a Master Class of your choice, you will receive a certificate which emphasizes your new skills. After successfully completing all four Eyebrow Master Classes, you will receive the title “Master in Eyebrow Micropigmentation”. After successfully completing both Eyebrow Master Classes, you will receive the title “Master in Eye Pigmentation”. After successfully completing both Lip Master Classes, you will receive the title “Master in Lip Pigmentation”. The Nouveau Contour Academy has a wide range of specialization trainings. Improve your techniques, develop your professionalism and extend your treatment offer. After successfully completing a Focus Class of your choice, you will receive a certificate which emphasizes your new skills. Focus Class Online in one day. Through dermapigmentation you can make the difference for your clients. You can be the one that works with medical professionals and give a finishing touch to the work of surgeons. 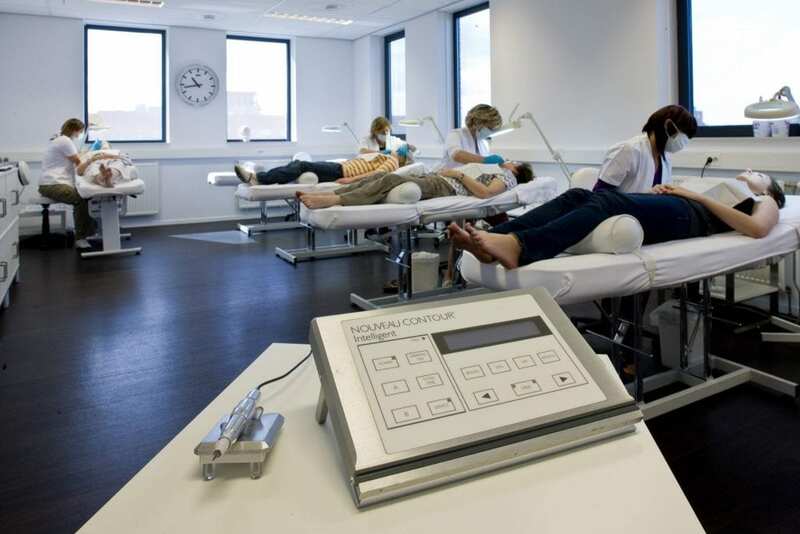 The Nouveau Contour Academy has several Dermapigmentation Master Classes. With these leading Master Classes you will gain profound knowledge of the latest techniques dermapigmentation.